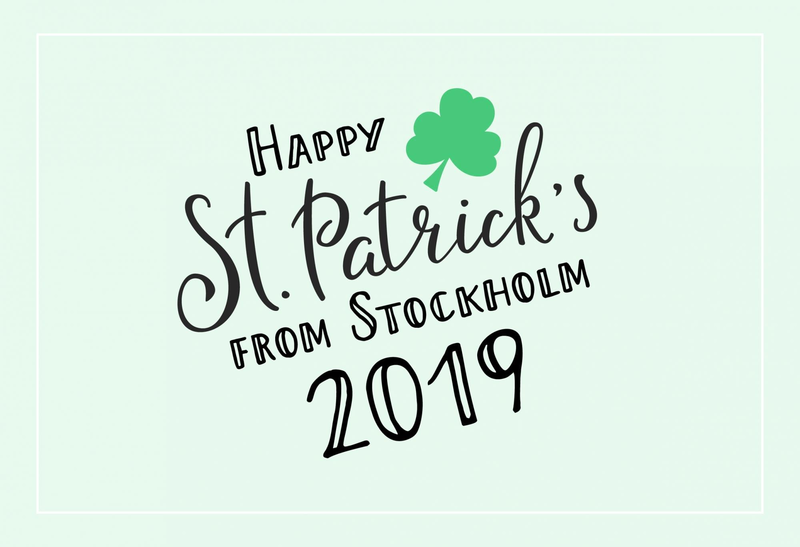 Note: My list of "The Best Ways to Celebrate Saint Patrick's Day in Stockholm 2019" is at the bottom, for anyone that wants to hurry down to my reccomendations. Like the title of my blog, I am actually sightly Swedish in ethnicity. Which, I wasn’t totally sure about until I just took a DNA test this last Christmas. My mother’s family were all Scandinavian immigrants to the United States. Though my mother is majoritarily Finnish (a whopping 85%, as it turns out!) I have a small amount of Swedish and Norwegian from her side too. Like many other Americans, I have a mixed ethnicity. My fathers paternal side relatives are all of Irish decent, which is where I get my last name from, Murphy. I’ll never forget my first time going on a trip to Ireland when I mistakenly handed over both my American and Swedish passports. The customs official was pretty perplexed saying “So, let me get this straight. You’re a Murphy from America who has Swedish Citizenship?” I think of that sometimes and how my heritage is sometimes bit confusing to me as well. 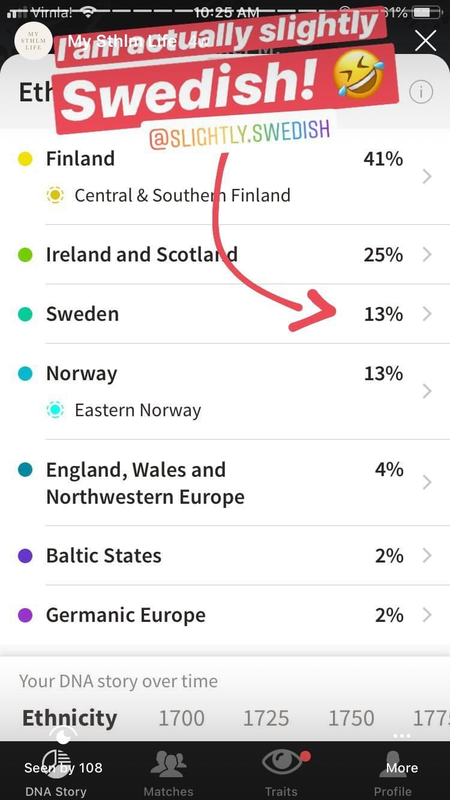 Though my DNA tells a little more of Scandinavian story, my family’s actual cultural identity has always been a more of an Irish-American one. I spent more of my youth closer to the Irish side of my family. I’m only really just now beginning to try to relate and understand the Scandinavian side of my heritage more, since my time living here in Sweden. My dad’s father was 100% Irish and his family immigrated from Ireland at the end of “The Great Famine”, like so many other Irish families at that time. After a few adventures, they eventually settled in the wild Black Hills of Montana. I always grew up so proud to be related to such strong Irish immigrants, that were survivors, adventurers, and quick-witted people. I have always wondered more about of my Irish family’s past and what my ancestors in Ireland would've been like if I had met them. What I do know of them is that they faced a life full of adversity and challenges, like many of their kind, and that they had the courage and strength to survive the times. If I told you all of the stories that have been passed down from that side, no one would ever believe me. I hardly believe it myself. It’s the stuff of Hollywood movies! 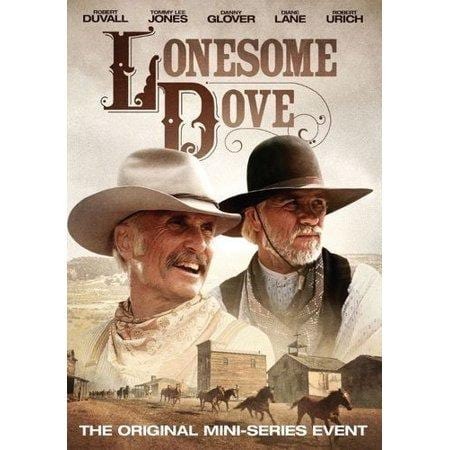 Their's were tales of forbidden and social-class divided love, pioneers with covered wagons that conquered the wild west, cowboys in gun fights, running from the law, the building of the railroad, and even a few cops and mobster stories in the mix. I was always amazed and enthralled by my family’s past, or at least what stories I was being told of them. An Irish-American themed immagrant movie I loved as a kid was Far and Away. 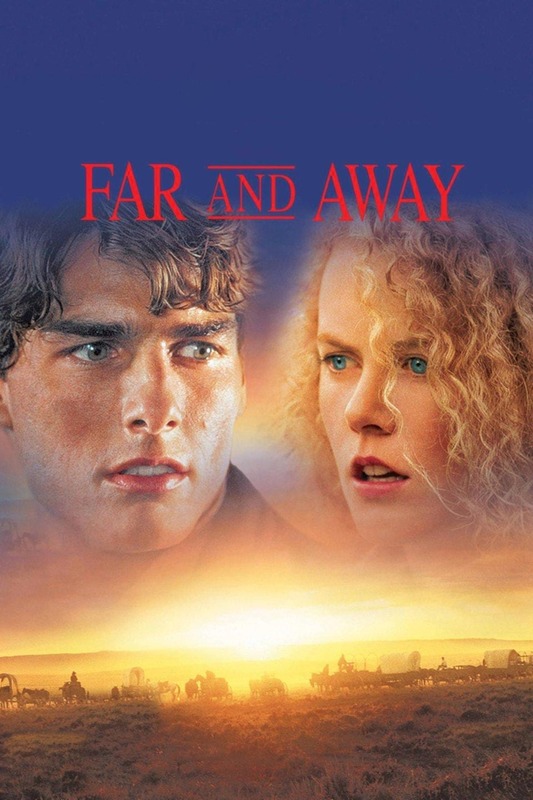 It's the the movie where Tom Cruise met Nicole Kidman. It's about two social-class divided individuals immagrating from Ireland to America, enduring hardship and eventually falling in love. I always dreamed that this was like the way more romanticized version of my great-grandparents love story. They too were from two different classes and supposidly forbidden from being together, before running away to the US. The Irish in America did what they had to, to survive, and ended up thriving in a strange part of the world. The Potato Famine in Ireland killed more than 1 million people in five years and more than 1.5 million adults and children had to leave Ireland to seek refuge in America. Combined, that's nearly the entire population of the inner city of Chicago and bigger than the population of all of the entire Stockholm municipality (suburbs included). The conditions in Ireland were starving them out and The United States wasn't really receptive to them either—traveling to the US was very difficult at that time and a very hostile environment for the Irish. They encountered racism and immigration problems beyond even today's comprehension. Businesses would frequently hang up signs that said “Irish need not apply” in every window. Still, my ancestors persisted and survived where many did not. Their stories are just a few in our shared Irish-American ethnographic history, that is filled with so many others just like them. With many sacrifices, the blood, sweat, and tears of the Irish-Americans quite literally built a lot of what makes up the United States today. My grandfather always said that “if anyone knew about overcoming persecution, it was the Irish and their hundreds of years of repression, poverty and adversity.” He was always very proud to be a part of a culture that had overcome immense struggle and that our family had never given up or given in to self-pity. When I think of celebrating our Irish heritage on Saint Patricks day, this is what I think of. It’s why I am and always will be proud to call myself a “Murphy” after those before me. 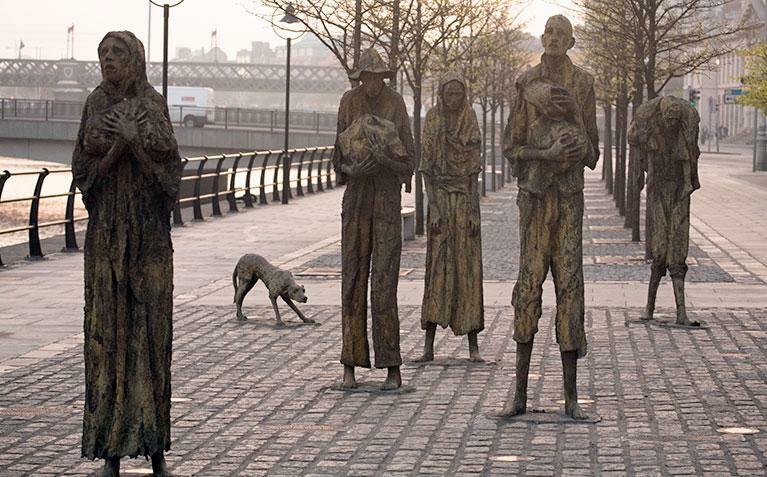 The very sad "Famine statues", located in Custom House Quay and the Dublin Docklands in remembrance of the suffering. The look of these statues actually gives me the chills. Saint Patrick's day is evidence that you can take the Irish out of Ireland, but you can’t take Ireland out of them. What is now an Irish national holiday, was once a more solemn religious day where the pubs were all closed. Irish Immigrants to America actually decided to change all that and celebrate their shared heritage with a more festive day instead—more like the one we all know and love today. Until the late 20th century, St Patrick's Day was often a bigger celebration among the immigrants in Northern America than it was in Ireland. That’s why the celebrations of this day in the States rival the celebrations in Ireland itself. 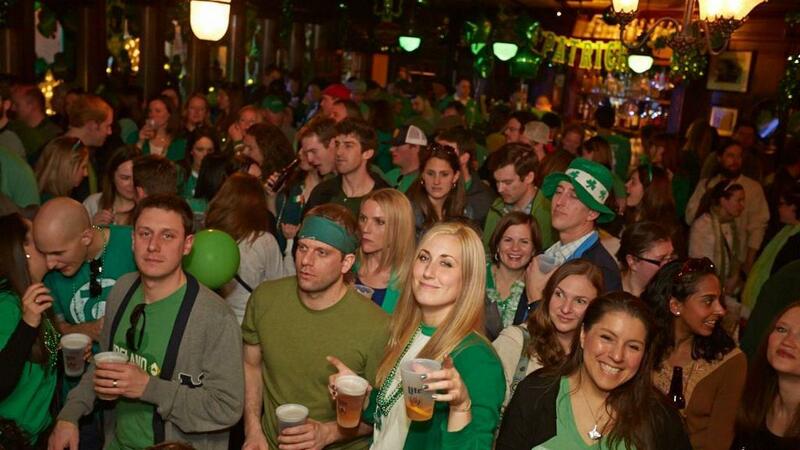 You should see the way my home city of Chicago explodes with the most St. Patty's Day parties per capita in the world—It's nothing but bar crawls, celebrations, and the color green everywhere. They even dye the whole Chicago River green that flows through the middle of the city! 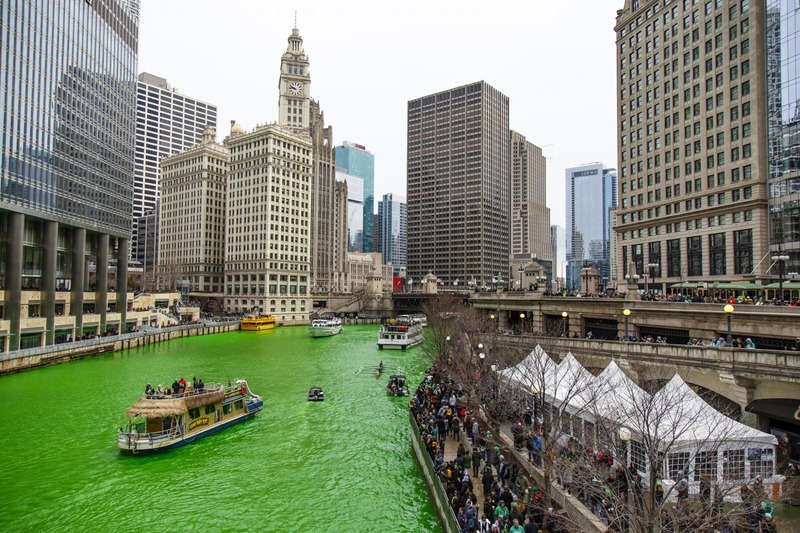 The Chicago River Dyed Green (img cred: Travel & Leisure) You can watch a time lapse video of them dying it on youtube here! St. Patrick's day is now the most celebrated national holiday world-wide due to Irish Diaspora (the migration of the Irish). Though the drinking and costume takes more of a center stage these days, and the fact that it's been adopted as national holiday for Ireland, the history of it is really more about the uniting and celebrating of a people that were once forced to flee their home country. It's representative of their grit in overcoming that immense adversity. It's a day my ancestors and others like them created to keep their collective culture alive in a new life accross the ocean. I believe that it’s definitely a holiday worth celebrating and something that anyone (even non-Irish folk) can appreciate, participate and take joy in. I hope that everyone this year, no matter where you come from, can put on some green colored attire, drink some good ole Irish alcohol, eat some Irish themed food, and party it up (even dance a little jig if you can) in celebration of the kindred Irish or Irish-American spirit in all of us. Gather your friends and go for a long boozy brunch out somewhere in the city (while wearing green of course!) Check out Thatsup's list of best brunch places in Stockholm!